I am a senior research scientist specializing in design theory and methodology. I hold a BA in Art and Design and a Masters in Communication Design from the University of Alberta, Canada, and a PhD in Designwissenschaft from the University of Arts Braunschweig in Germany. In my research, I investigate the fundamentals of design. Based on this knowledge, I develop methods and tools aiming at advancing design practice and education. I have been developing an approach ‘case transfer’ and a method ‘rip+mix’ for dealing with highly undetermined design situations. Besides, with Prof. W. Jonas, I have also developed a design process tool called MAPS. Furthermore, I also contribute regularly to the discourse on design research, particularly research through design. 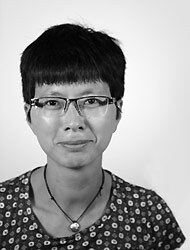 Chow, R. (2010). “Potentiale der Designwissenschaft.” Pp. 32-36 in Positionen zur Designwissenschaft edited by F. Romero-Tejedor and W. Jonas. Kassel: Kassel University Press. Chow, R. and W. Jonas. 2010. “Case Transfer: A Design Approach by Artefacts and Projection.” Design Issues 26:9-19. Chow, R. (2010). “What Should be done with the Different Versions of Research Through Design.” in Entwerfen. Wissen. Produzieren. Designforschung im Anwendungskontext, edited by C. Mareis, G. Joost, and K. Kimpel. Bielefeld: Eine Publikation der DGTF. Transcript Verlag. Chow, R. (2009b, 15-17 April, 2009). Fallman meets Jonas: Compare and Contrast two models of Design Research. Paper presented at the Communicating by Design, Brussels. Chow, R. (2009a, 15-17 April, 2009). Abduction Revisit. Paper presented at the Communicating by Design, Brussels. Jonas, W., Chow, R., & Schaeffer, N. (2009, 1 -4 April 2009). Service Design Descriptors: A Step toward Rigorous Discourse. Paper presented at the 8th European Academy of Design Conference, Aberdeen Robert Gorden University. Chow, R., Jonas, W., & Schaeffer, N. (2009, 1-4 April, 2009). Peircean Abdcution, Signs & Design Transfer. Paper presented at the 8th European Academy of Design Conference, Aberdeen Robert Gordon University. Chow, R., & Jonas, W. (2008, 16-19 July, 2008). Beyond Dualisms in Methodology. An Integrative Design Research Medium “MAPS” and some Reflections Paper presented at the DRS 2008 Conference ‘Undisciplined’, Shefield, UK. Chow, R. (2008, 30 – 31, May 2008). Case Transfer Vs. Case Study. An Evaluation of Case Study as a Method for Design Research. Paper presented at the Swiss Design Network Symposium ‘Focused’. , Bern.